See species-specific descriptions in General Appearance. All three species listed on Appendix I.
Decreasing. 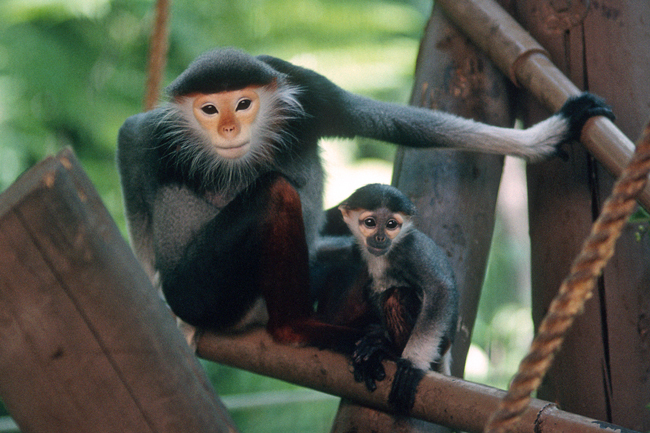 Black-shanked douc langur much more abundant than gray-shanked and red-shanked douc langur. See Population estimates. © 2003-2017 San Diego Zoo Global. Updates to Physical Characteristics and Conservation Status in 2017.